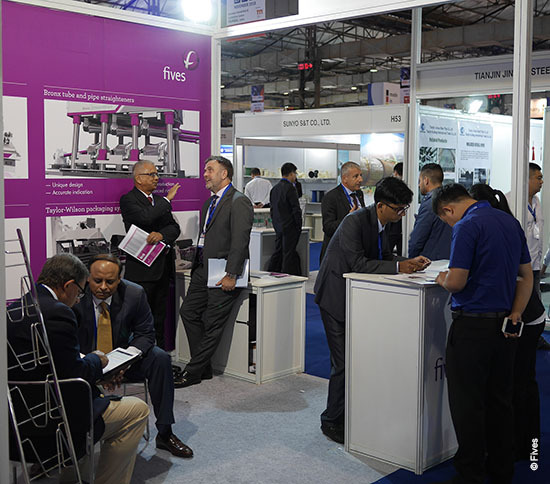 Fives welcomed its clients and partners at the stand where it featured Abbey and OTO tube mill solutions and equipment, Bronx and Taylor-Wilson finishing equipment for welded and seamless tubes, OTO automation systems and a full range of services. 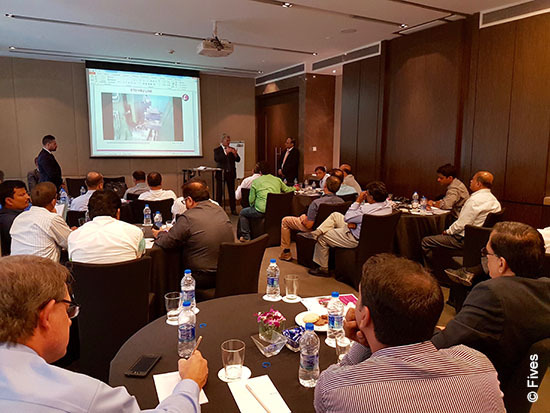 Moreover, Fives organised a luncheon presentation and interaction meeting during which Luca Cagnolati, International Sales Director of Fives OTO, presented OTO HSU tube mill (hollow shape universal forming mill). OTO HSU tube mill is an advanced technology allowing for a frequent change of production without any roll change. The presentation also covered Fives’ global offer for tube making facilities: slitting lines, entry systems, welded tube mills, cut-off units, tube handling units, tube & pipe and long product straighteners, end facing machines, hydrostatic pipe testing, collapse testing and leak testing machines, drawbenches, packaging and automation systems.